It’s critically important that the CFPB hear from you—people working directly with consumers—about the challenges consumers are facing. These hearings give us an opportunity to influence the priorities of the first federal regulator focused on protecting the interests of consumers. Woodstock Institute staff can help you prepare comments for the hearing. Contact Courtney Eccles at ceccles@woodstockinst.org or Katie Buitrago at kbuitrago@woodstockinst.org. The Credit CARD Act, implemented in 2010, introduced new consumer protections for credit card borrowers. For example, the Act prevents interest rate increases for one year after the account is opened, requires credit card issuers to consider a borrower’s ability to make payments before extending credit, requires the consumer to opt-in to over-limit protection, and protects young people targeted by credit card marketing. Not all credit card issuers are following the rules, however. 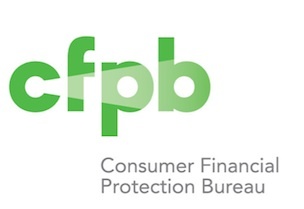 The CFPB recently ordered Chase to refund $309 million to consumers for billing consumers for “add-on” services such as credit monitoring that consumers did not receive. The CFPB and FDIC recently ordered Discover to pay $200 million to consumers for deceptive marketing practices. Testimony at public hearings can tip regulators off to patterns of poor practices and inform their enforcement work. Please let us know if you plan to attend the hearing. For more information, please contact Katie Buitrago at kbuitrago@woodstockinst.org or 312-368-0310. After the hearing, head up north to the Sheraton Chicago to hear the CFPB’s deputy director Steve Antonakes at Woodstock Institute’s 40th anniversary symposium!